An Elyria woman's face is severely injured following an attack by a neighbor's two dogs Sunday, according to Elyria police reports. One of the animals' owners told officers that the dogs did not have their rabies shots or their current tags and registration. The victim was transported to two hospitals. 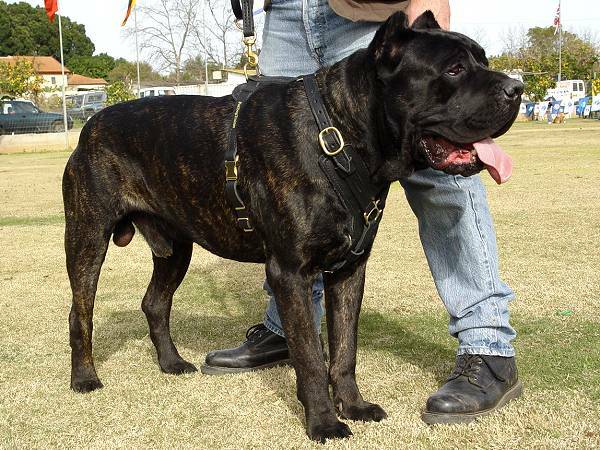 A neighbor's LARGE TAN FEMALE AND LARGE MALE CANE CORSO DOGS, Nala and Jax, allegedly attacked the woman and her dog on Hollywood Drive at around 8:47 p.m., authorities stated. When police arrived Life Care was on the scene. Life Care told police that the victim needed to be transported to University Hospital-Elyria immediately. She was taken there, but later transported to University Hospital in Cleveland because of the severity of her dog bite injury, police said. An officer talked to the dogs' owner, who said that she had been bathing her children and didn't know that the dogs had gotten loose from the fenced-in backyard. Officers noticed a wood plank missing from the fence. A Lorain County Dog Warden deputy said that both dogs needed to be quarantined inside the residence for 10 days. The deputy issued citations for failure to display tags to be worn, no current license and dogs at large. Several bystanders tended to the woman's Goldendoodle, Reddening, who was later transported to the Lorain Emergency Animal Clinic. Why do people who own cane corsos, and let them get loose, always seem to have two of them?? And this idiot owner has children to boot.